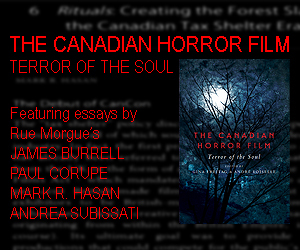 This weekend marks the official launch of The Canadian Horror Film: Terror of the Soul, a new book edited by André Loiselle and Gina Freitag , and featuring essays by several genre and media writers, including myself (making this page more than a bit of shameful self-promotion). 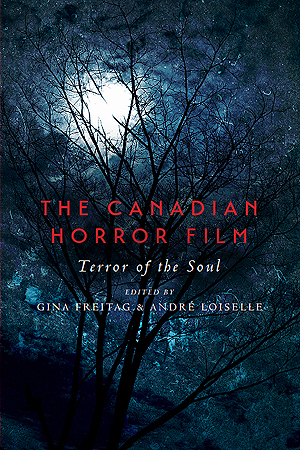 The book’s theme is Canadian horror, a topic that isn’t often examined in lengthy tomes, although films fans are well aware we’ve made great films in various genres, languages, and covering more than a few unique episodes in Canadian history. What about a tome that’s packed with essays on a diversity of Canadian films that reflect our own distinct fears, if not fresh spins on classic sub-genres, or perhaps brand new genres? I’m delighted my contribution, an essay on the seminal forest slasher Rituals (1977), is in great company, nestled alongside fellow Rue Morgue scribes like James Burrell, Andrea Subissati , and Paul Corupe – plus sage authors Kier-La Janisse and Caelum Vatnsdal and more. The University of Toronto Press’s The Canadian Horror Film is now available for pre-order from local bookshops and online retailers (see end). Also: there’s an official book launch at the TIFF Bell Lightbox this Saturday October 24th, prior to the free 9pm screening of Canada’s first 3D feature film, The Mask (1961), directed by Julian Roffman. 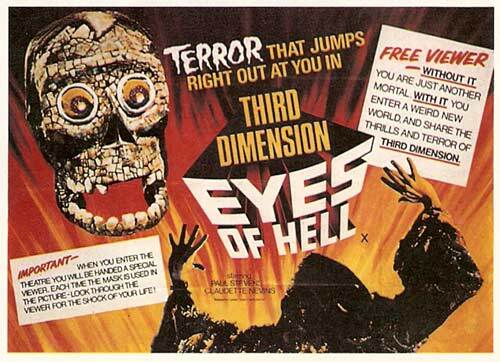 The rarely seen shocker (filmed in & around Toronto) was recently restored by TIFF in conjunction with the 3D Film Archive, and is slated for a 3D Blu-ray release November 24th via KINO. 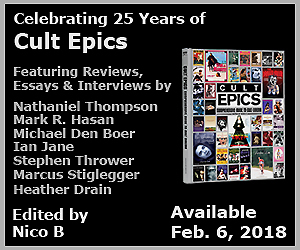 Present at the screening will be editors / co-authors Loiselle and Freitag, plus a few co-authors from Rue Morgue, including myself, Andrea Subissati and James Burrell, ready to sign copies of the book. Signings are slated to begin around 8:30pm. 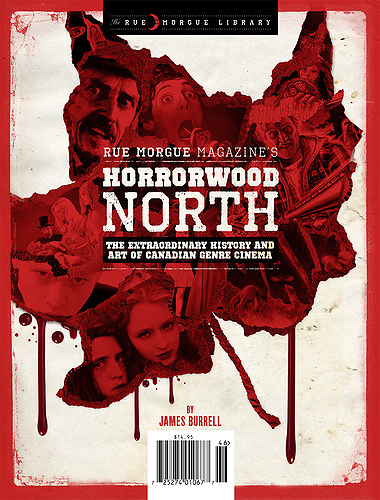 Lastly, those of you wishing to catch The Mask at the TBL’s Cinema 2 tonight can meet author James Burrell, who will be signing copies of the latest Rue Morgue Library installment, Horrorwood North: The extraordinary history and art of Canada genre cinema. Coming next: podcast interview with writer / director Dan Spurgeon and actor Frank Blocker on adapting and performing their stellar stage version of The Baby (1973), the cult film written by Abe Polsky and directed by Ted Post. The play is currently running at Toronto’s The Storefront Theatre until November 1st.